Jorhostel was an amazing experience, very friendly employees, helpful at all times! The place is very cool and clean, even the shared rooms are always in order (staff makes it all happen !). 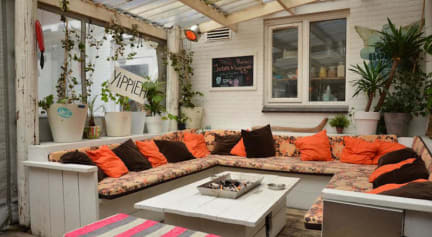 Great place to hand out, have some drinks and food, just a few blocks from the beach, easy access to the city center by tram ou bike (15-20min) . I would totally come back and recommend it! We had a nice stay, the place was very nice and clean. However, the wifi was pretty bad and didn't work.